have a wide range of items in store. To find what you're looking for click on the links below. We also offer Balloon printing for your company. Please contact our store for a price guide.  Party Central Rose Bay can deliver around the Eastern Suburbs of Sydney. Please note we require 24hr notice. Prices start at $30 delivery fee. HELIUM INSTRUCTIONS: Helium filled balloons can float for up to 12 hours, however this is dependant on how they are handled, transported & mostly importantly: weather. Helium is sensitive to temperature so avoid extreme heat & extreme cold. On a hot day your balloon may only float for 2-3hours. Our recommendation is to inflate the balloon very close to the start time of your event. Please be aware of sharp objects, your balloon will pop. ​WARNING: Balloons are not toys. Children can choke or suffocate on non-inflated or broken balloons. Adult supervision is required. Keep non-inflated balloons away from children, and discard broken balloons immediately.